Beautiful and unusual fabrics, laces, trims and decorations are all part of Geraldine’s creative signature. 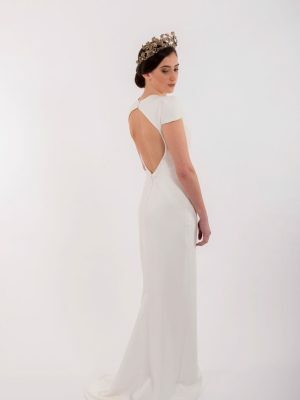 The Q’nique label showcases traditional bridal styles featuring beautifully cut and fitted corseted bodices with full, slim-line or flowing skirts and eye-catching detail. Q’nique styles also include separates that mix and match with the L’Wren label. L’Wren bridal gowns reflect current fashion trends and are relaxed styles ideal for beach, woodland, winery or destination ceremonies.